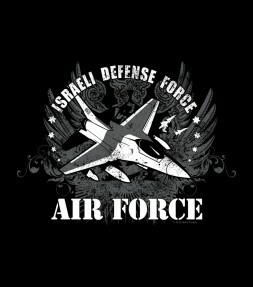 Get an Israel Air Force shirt or hoodie and display your respect for the powerful IAF! 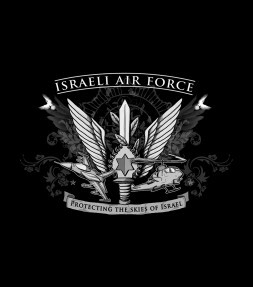 Express your support for Israel with an Israel Air Force shirt that shows your admiration for one of the most elite military air forces in the world. 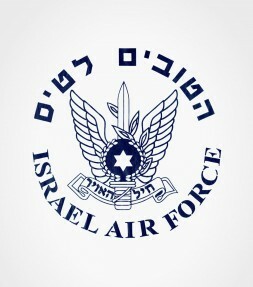 This classic IAF (Israel Air Force) shirt features a proud blue print with the authentic logo of the Air Force. 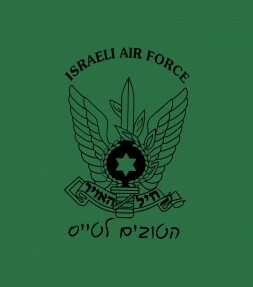 Featuring the powerful emblem of the IAF with a prominent Star of David symbol, this Israel Air Force shirt will display your Israeli pride and your respect for the IAF. 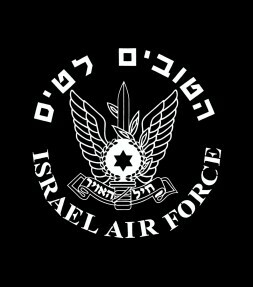 The old military proverb teaches us "If at first you don't succeed, call an air strike". 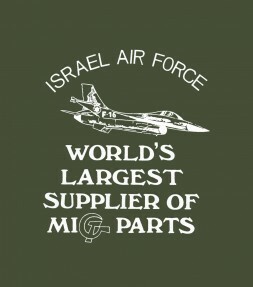 Get your Israeli Air Force shirt today! 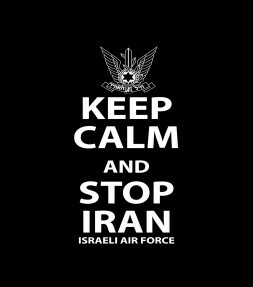 This "Keep Calm and Stop Iran" shirt says that you support Israel, and are determined to stop Iran from achieving nuclear weapons. 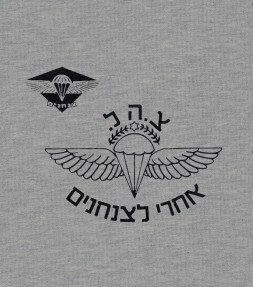 Featuring one of the most famous Hebrew quotations from the Israeli army - "AFTER ME TO THE AIRBORNE COMMANDOS", this colorful shirt features the Airborne emblem and the famous Hebrew quote. 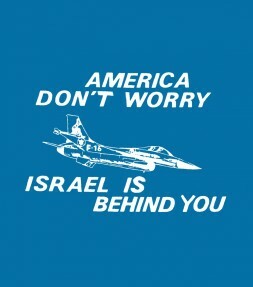 One of the all-time favorite designs in its category, this Israel shirt is a wonderful gift idea for Israel lovers. 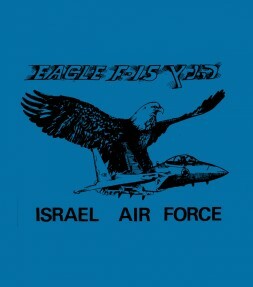 Get an Israel Air Force shirt with a vintage print "Eagle F-15" commemorating one of the most advanced aircraft that the IAF flies. 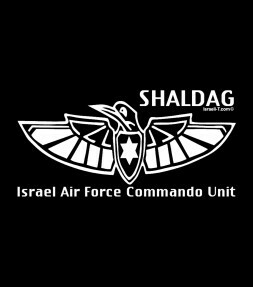 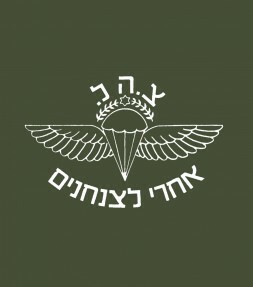 This Israel Air Force shirt commemorates the "Sayeret Shaldag", the elite IAF Commando unit that performs special missions using advanced combat technologies. 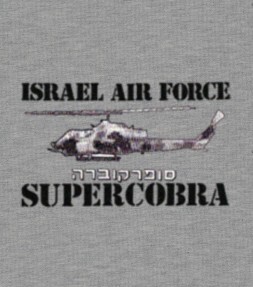 This is the authentic Israel Air Force shirt that the IAF soldiers wear during training featuring the powerful Super Cobra helicopter. 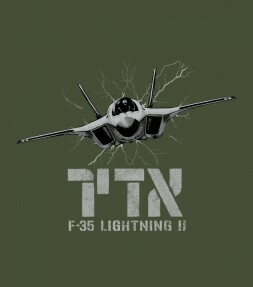 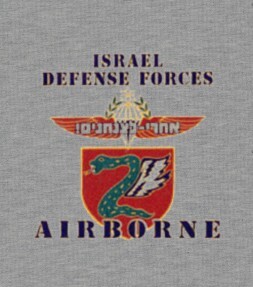 This IAF shirt features the title "Israel Air Force" that is written proudly alongside a unique drawing of a F-15 combat plane and an eagle. Featuring an eye-catching Sayeret Shaldag emblem and an inscription for the Israeli Air Force Commando Unit, this unique Israel shirt will truly show your respect for the special combat missions of the IAF commandos! 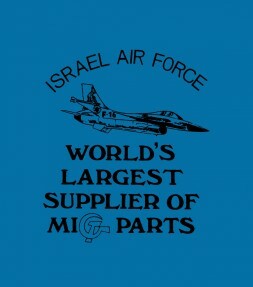 This ironic Israel shirt is printed with a large IAF banner that says "ISRAEL AIR FORCE - World's Largest Supplier Of MIG Parts" !! 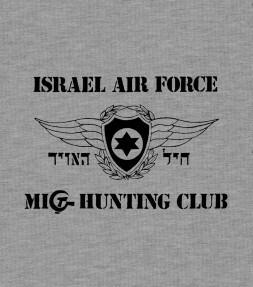 This unique Israel Air Force shirt features a large banner and is an IAF design that makes its point very clearly! 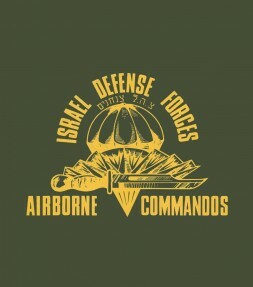 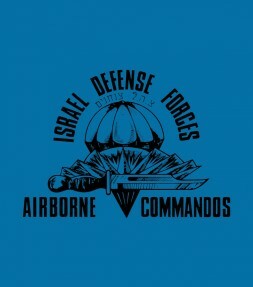 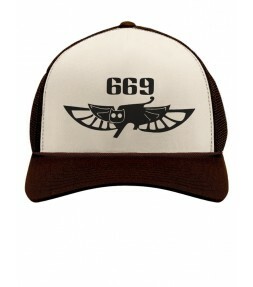 For those of you who are real IDF shirt fans, don't miss this IDF Airborne Commandos shirt with an authentic emblem and design that will show your respect for the Israel Defense Forces proudly!